This book analyzes Spanish rule and Catholic practice from the consolidation of Spanish control in the Americas in the sixteenth century to the loss of these colonies in the nineteenth century by following the life and afterlife of an accidental martyr, San Felipe de Jésus. Using Mexico City–native San Felipe as the central figure, Conover tracks the global aspirations of imperial Spain in places such as Japan and Rome without losing sight of the local forces affecting Catholicism. He demonstrates the ways Spanish religious attitudes motivated territorial expansion and transformed Catholic worship. 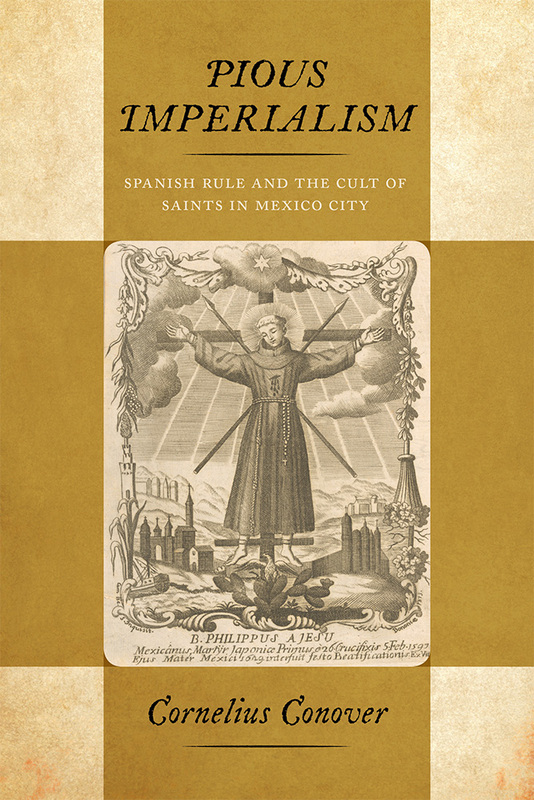 Using Mexico City as an example, Conover also shows that the cult of saints continually refreshed the spiritual authority of the Spanish monarch and the message of loyalty of colonial peoples to a devout king. Such a political message in worship, Conover concludes, proved contentious in independent Mexico, thus setting the stage for the momentous conflicts of the nineteenth century in Latin American religious history. Cornelius Conover is an associate professor of history at Augustana University.